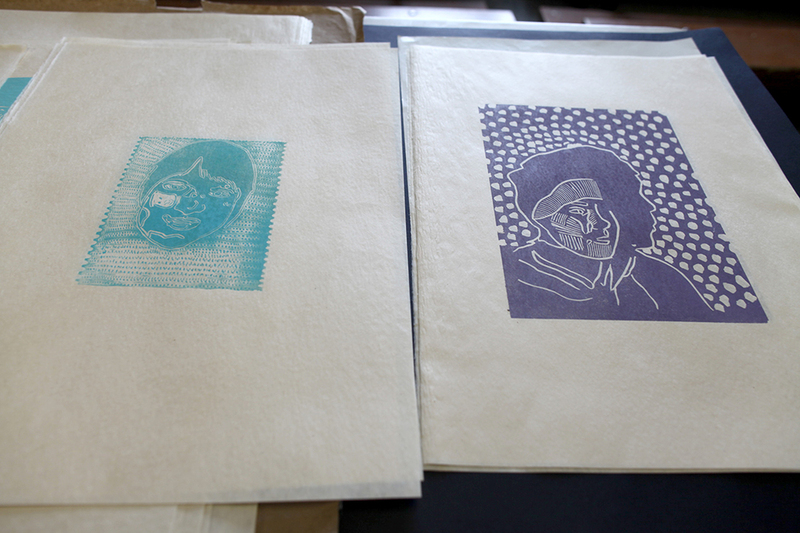 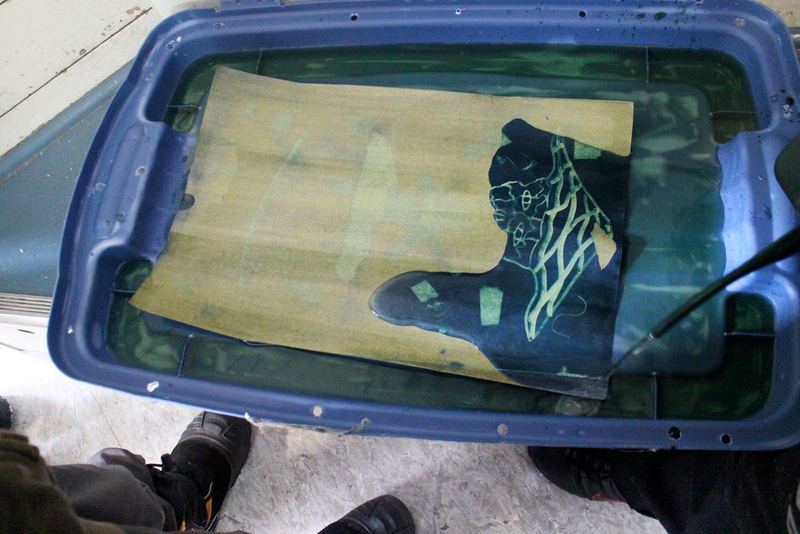 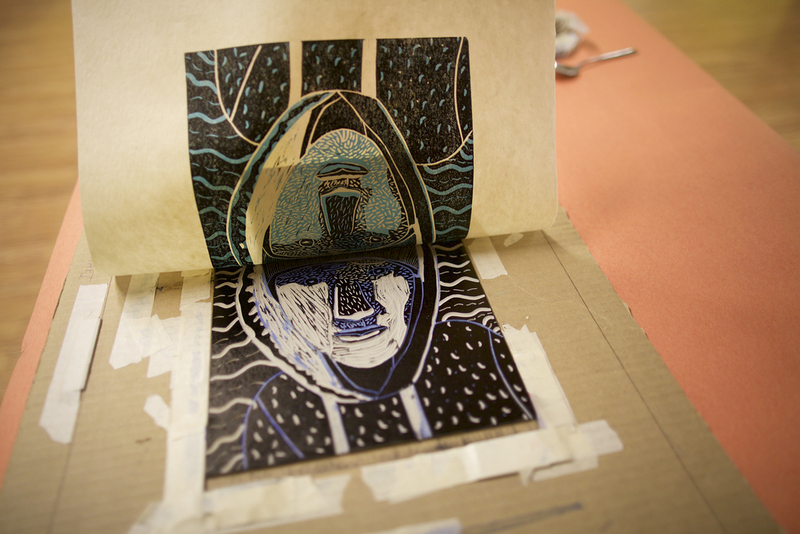 Consider this process work the backstory to this year's art show. 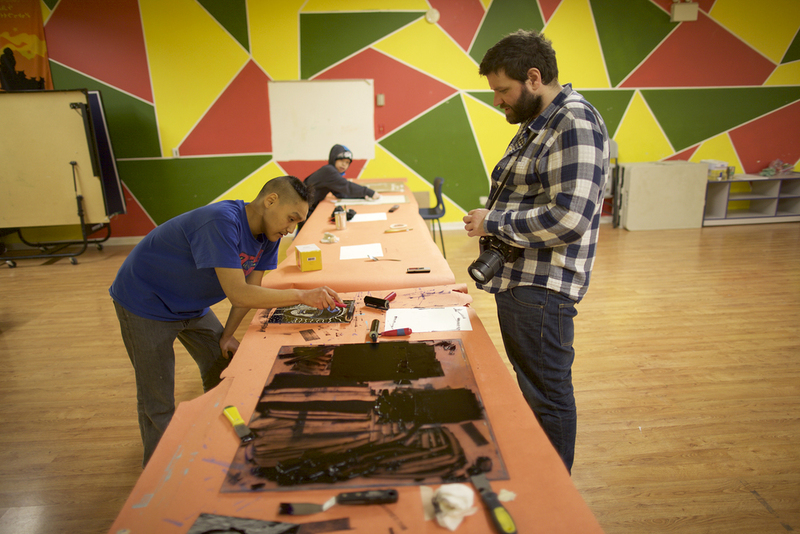 The untold hours and inside jokes are held close to our hearts. 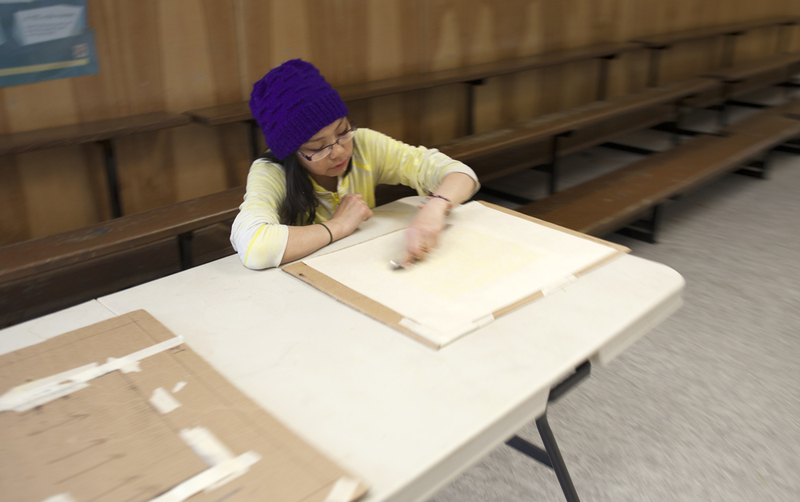 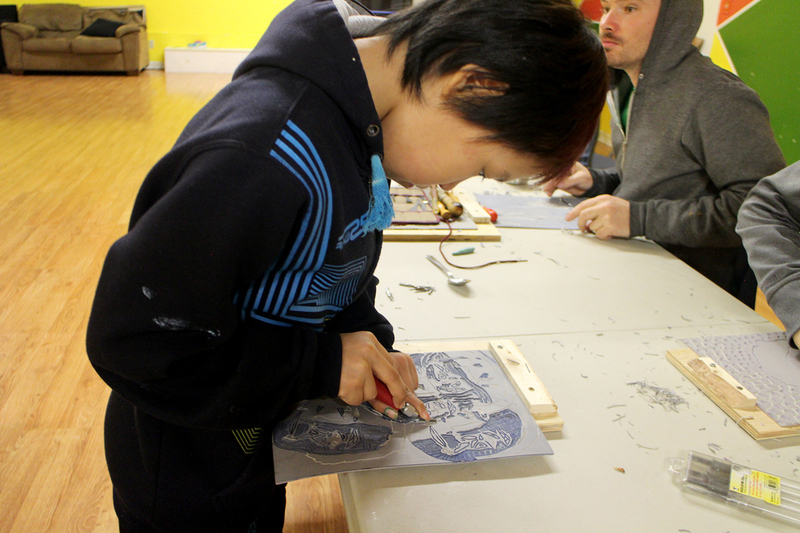 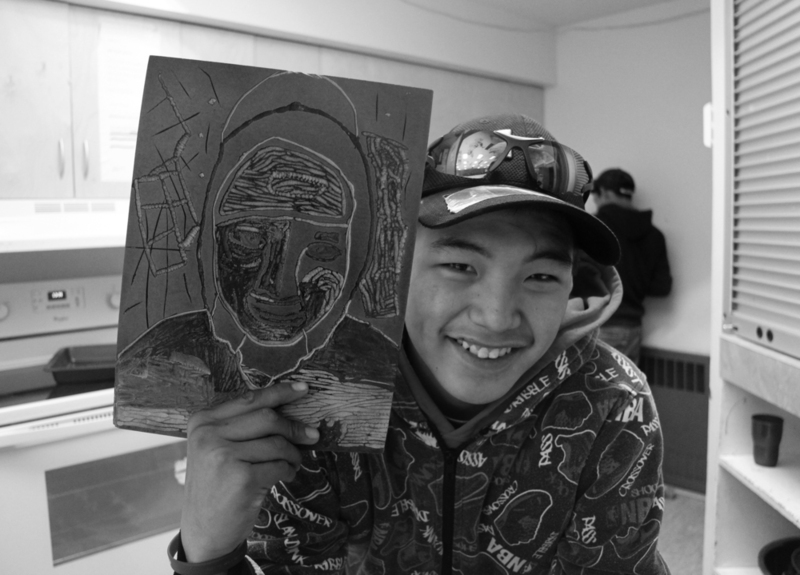 The need for youth art training and extracurricular art in Cape Dorset was all the more vital this year with the tragic loss of Peter Pitseolak Highschool. 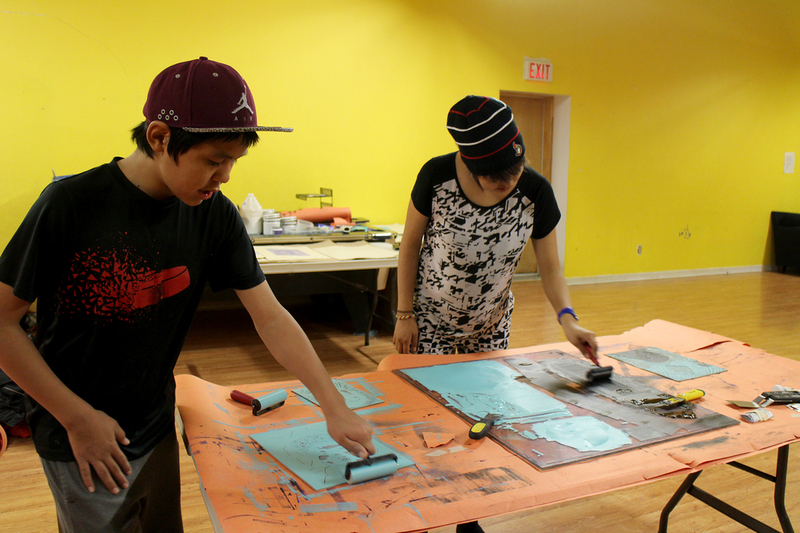 Everyday for three months we hosted art workshops. 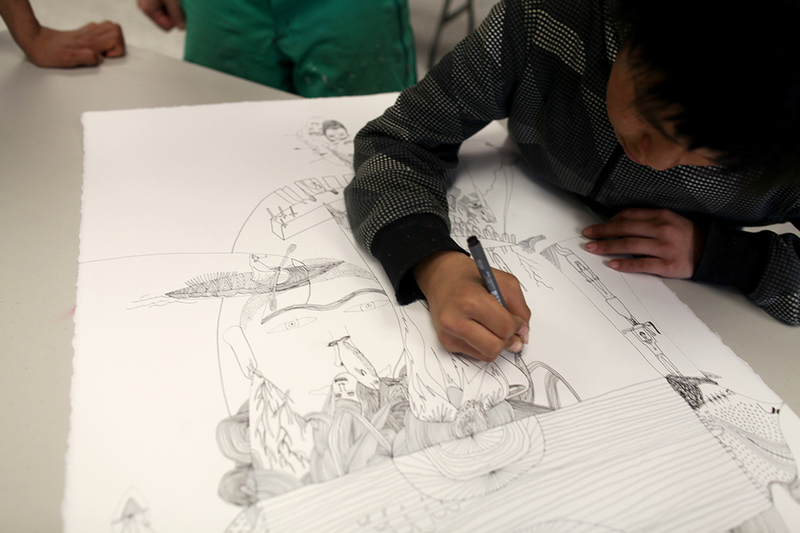 The youth put in a huge amount of work, were pushed beyond their limits, and in the end produced remarkable, professional artwork. 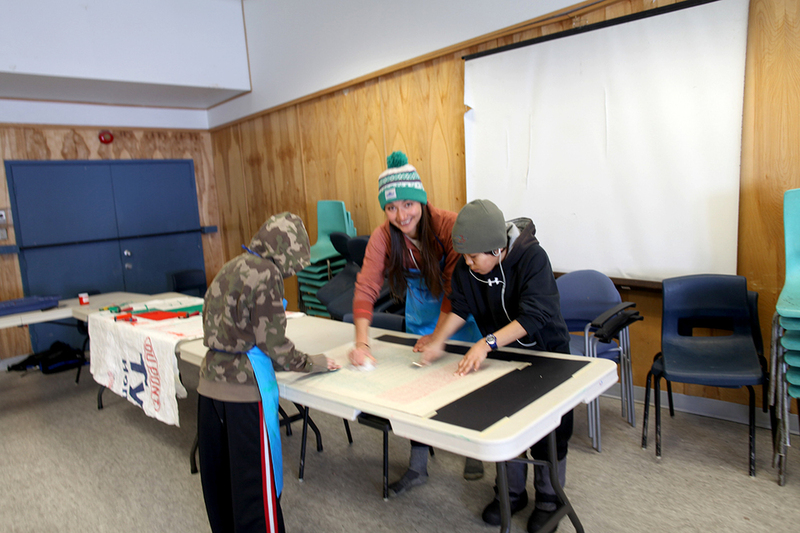 All the while the group danced, sang "Fantastic Man" or "Chicken in the Corn" or every Jerry Cans song, ate healthy snacks, skied, went out on the land, went sliding down Kinngait mountain and laughed a lot. 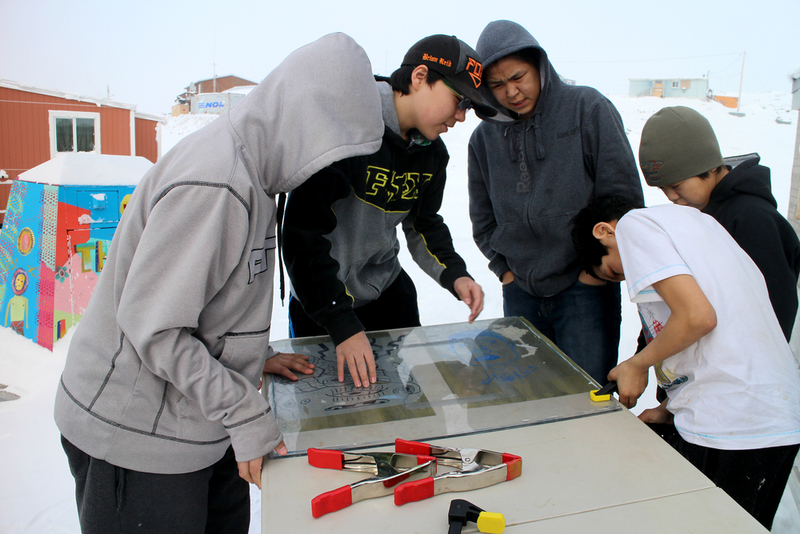 Appropriately, this year's upcoming satellite mural project in Montreal is titled: Qanuqtuurniq, meaning "resourcefulness." 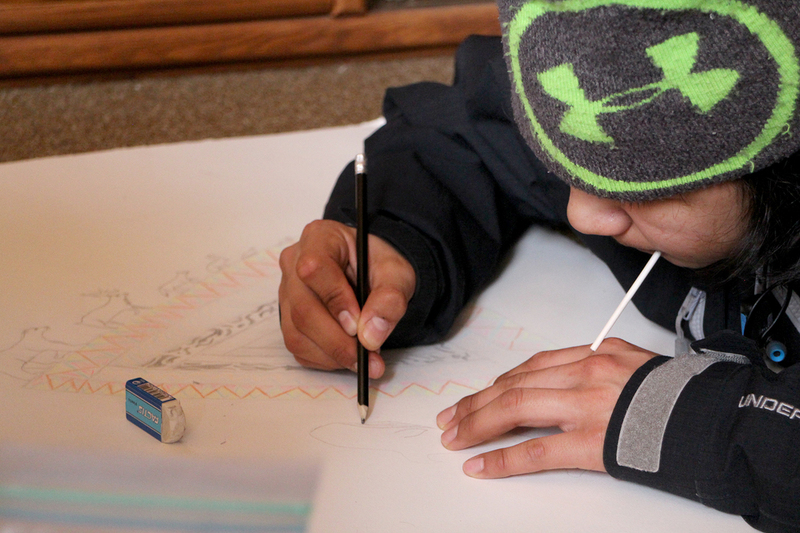 Art teaches us to be problem solvers, innovators, playful and to create change, to lift a whole lot of spirits with simple materials and our imaginations. 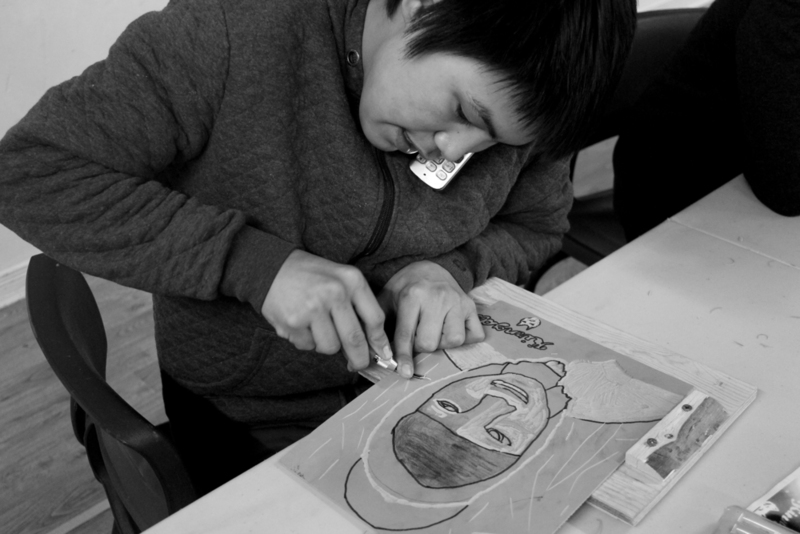 With art, we can learn to tell our own story, in our own way. 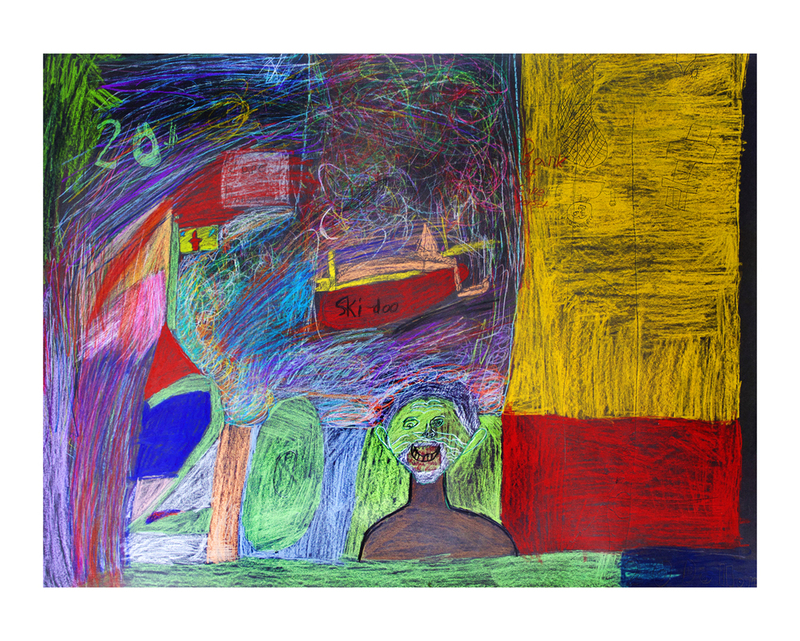 Even if we live remotely, art speaks loudly and with clarity that is felt deeply. 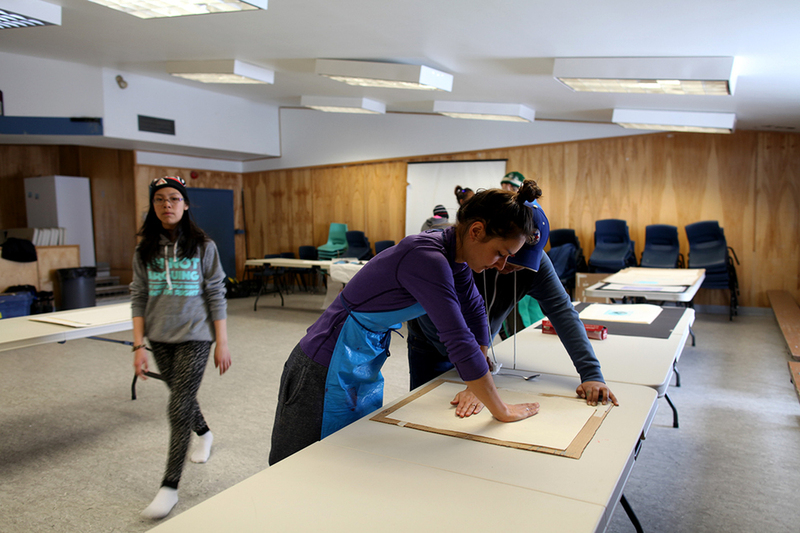 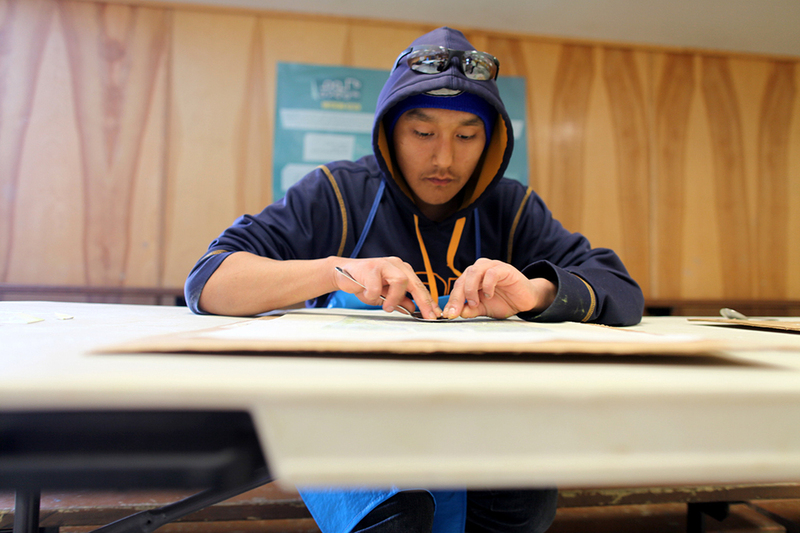 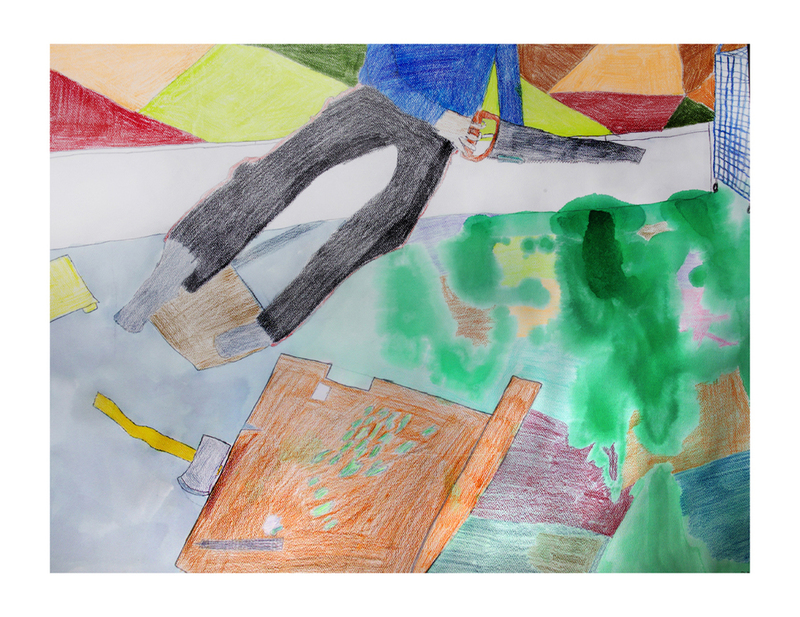 Way to go youth artists of Kinngait, you've taken leaps towards your bright future. 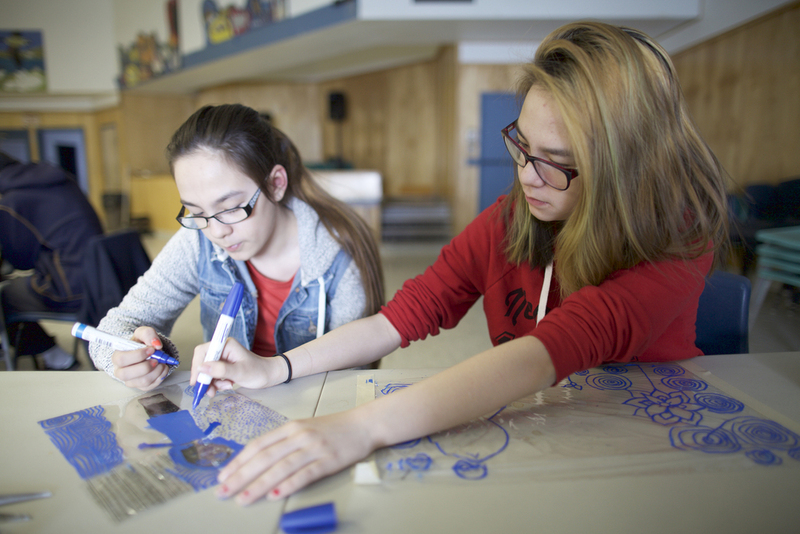 We would like to acknowledge the funding support of the W. Garfield Weston Foundation. 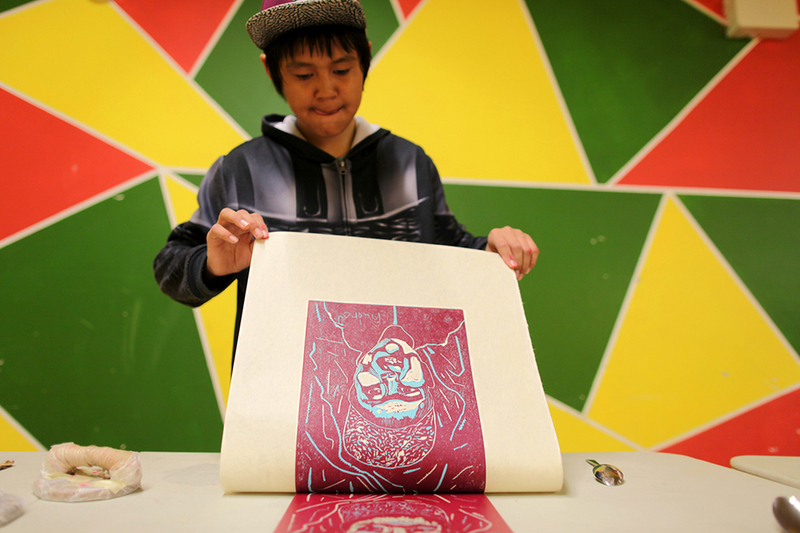 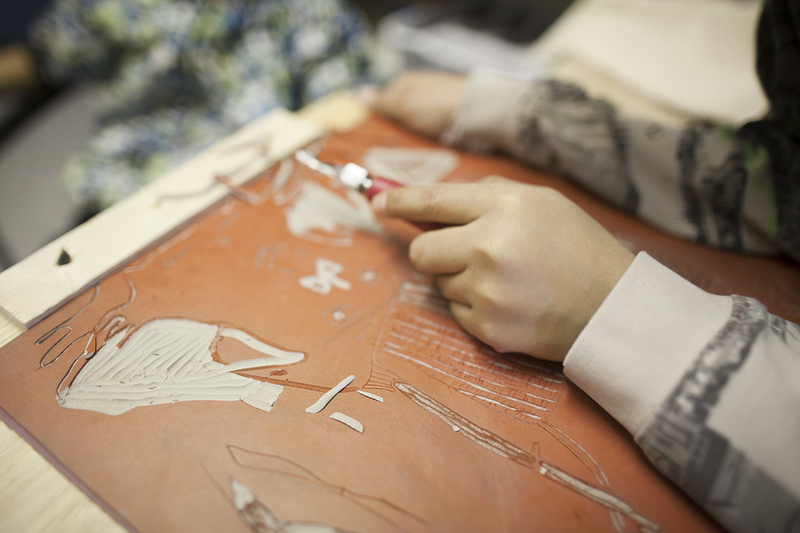 Moe happily hand-printing his linocut. 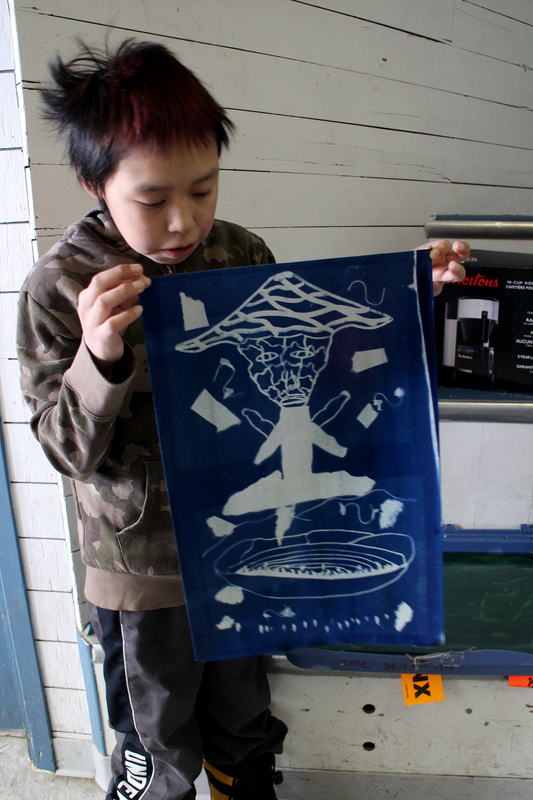 Moe's dad Ashoona Ashoona is a distinguished stonecut printer at Kinngait Studios. 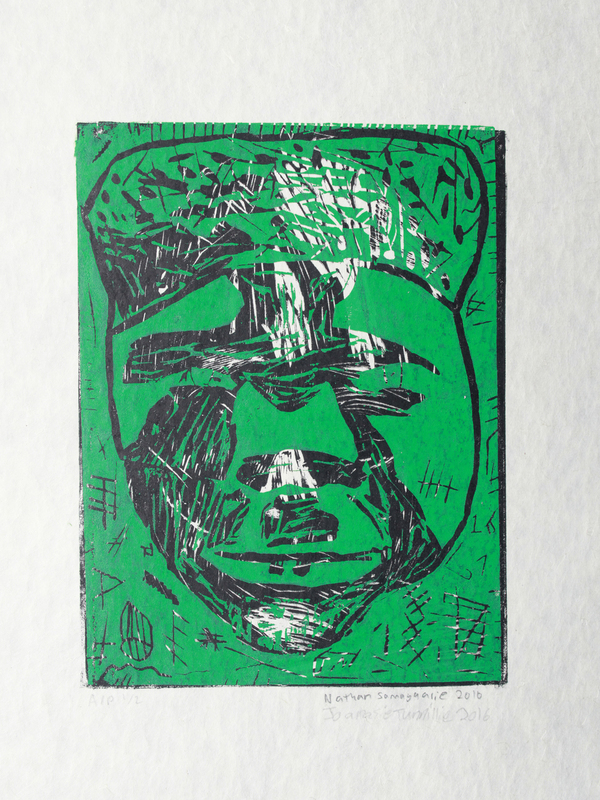 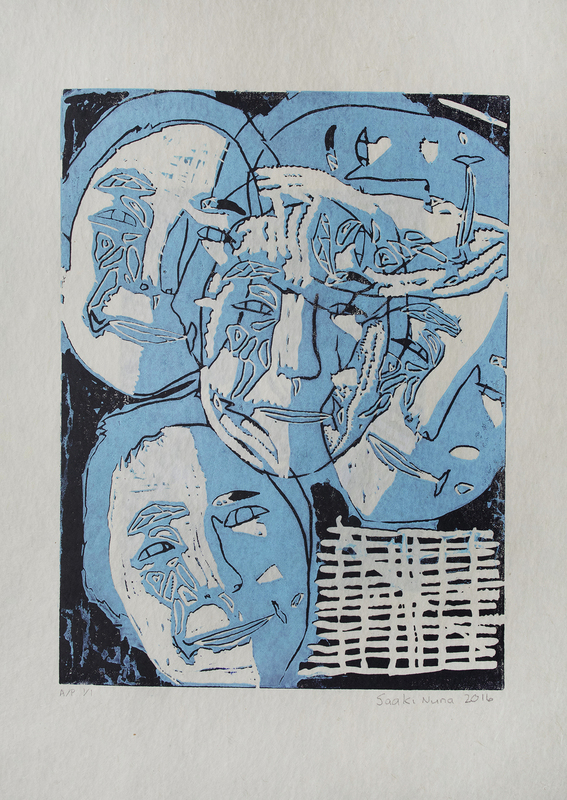 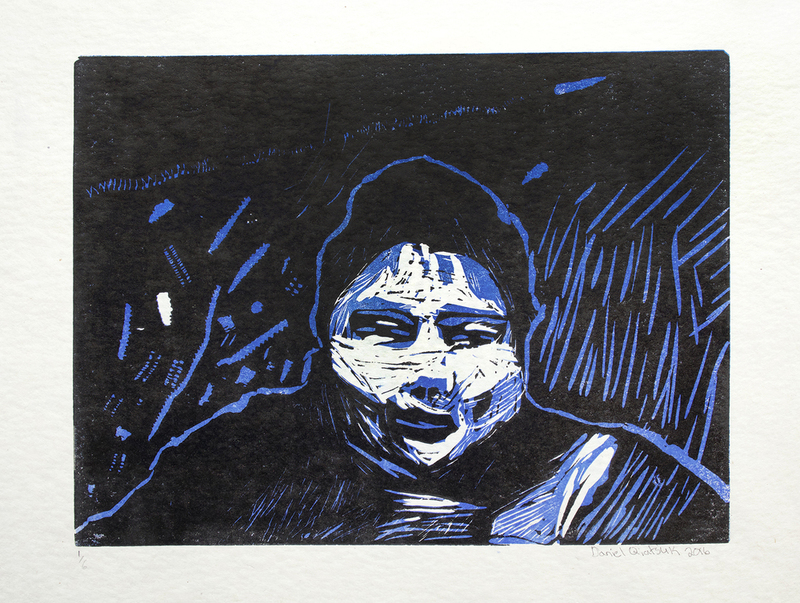 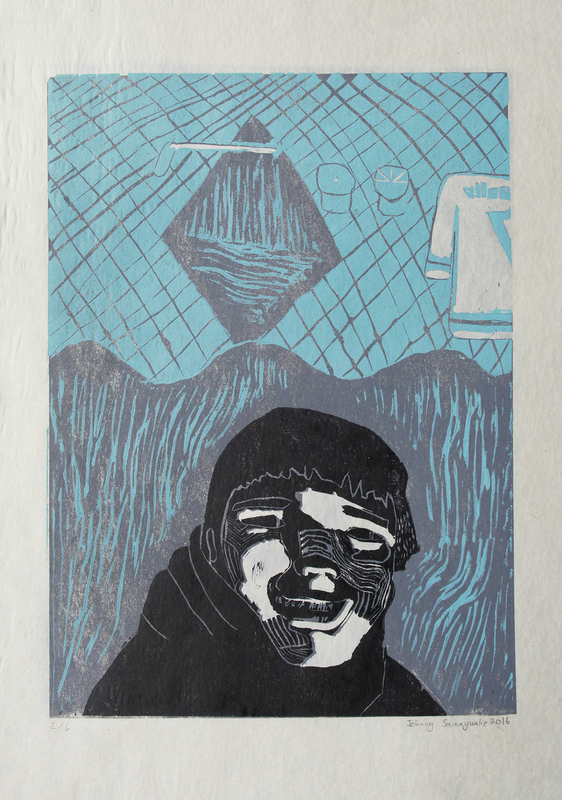 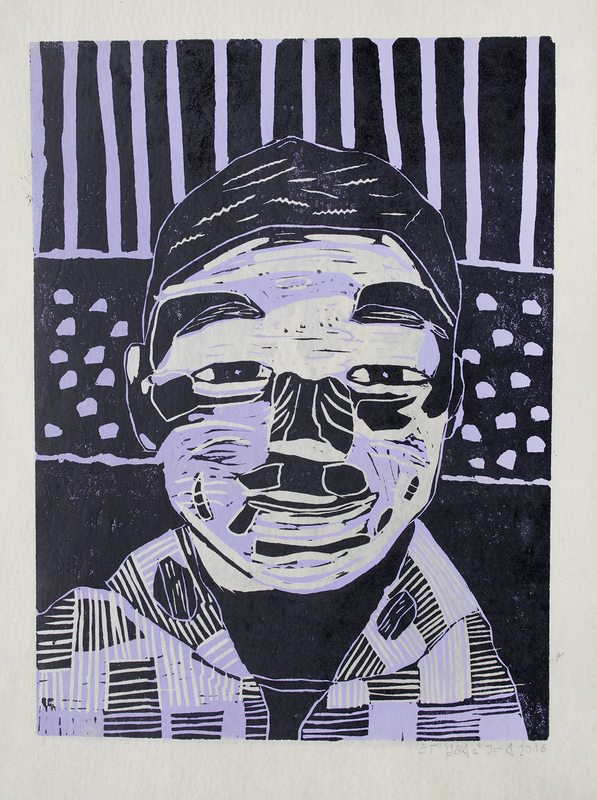 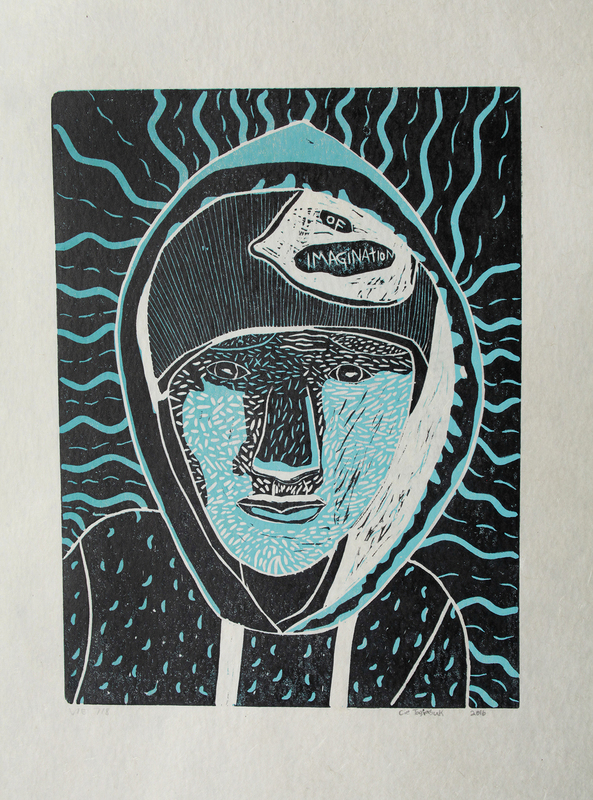 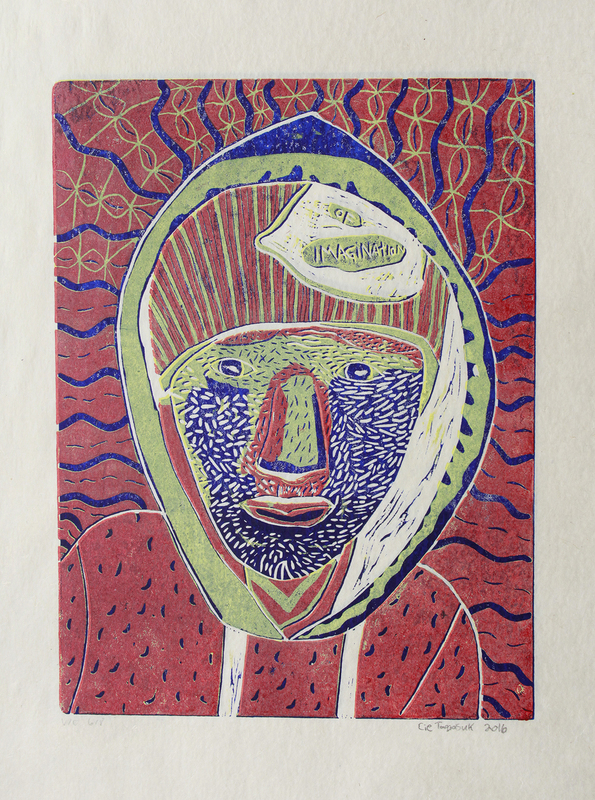 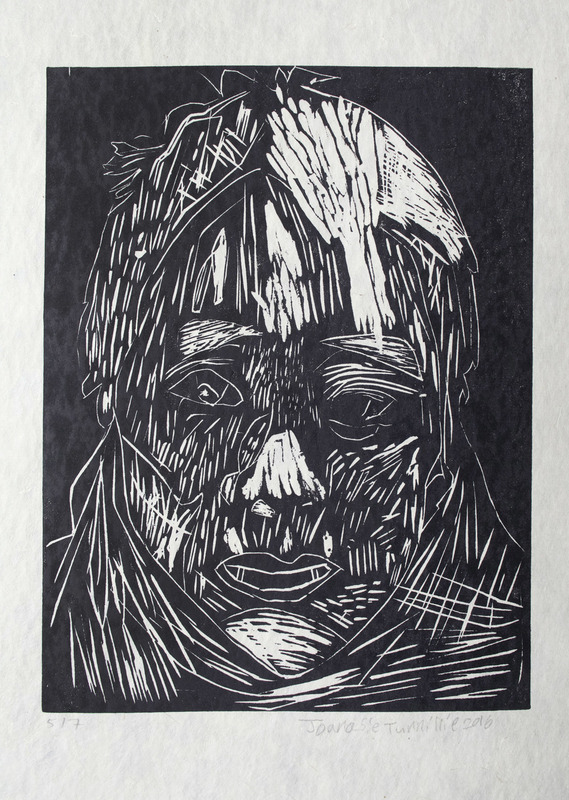 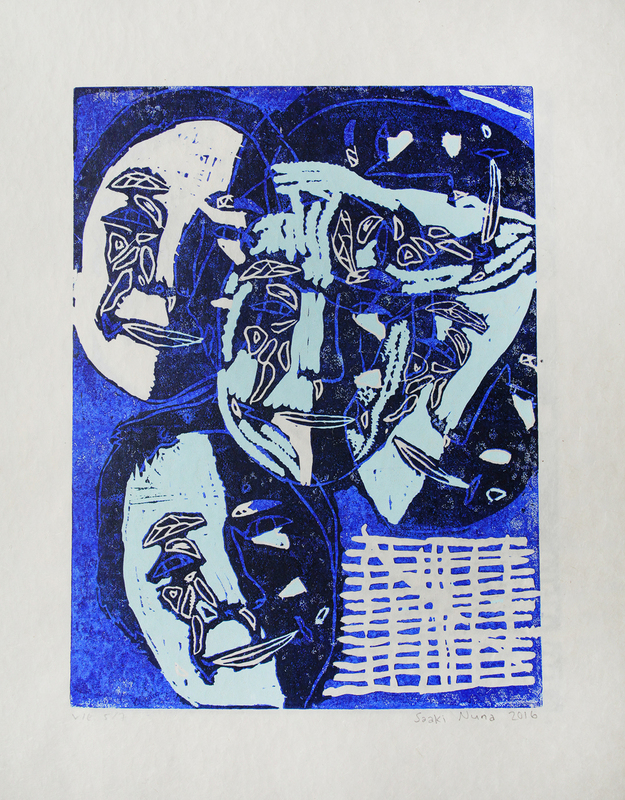 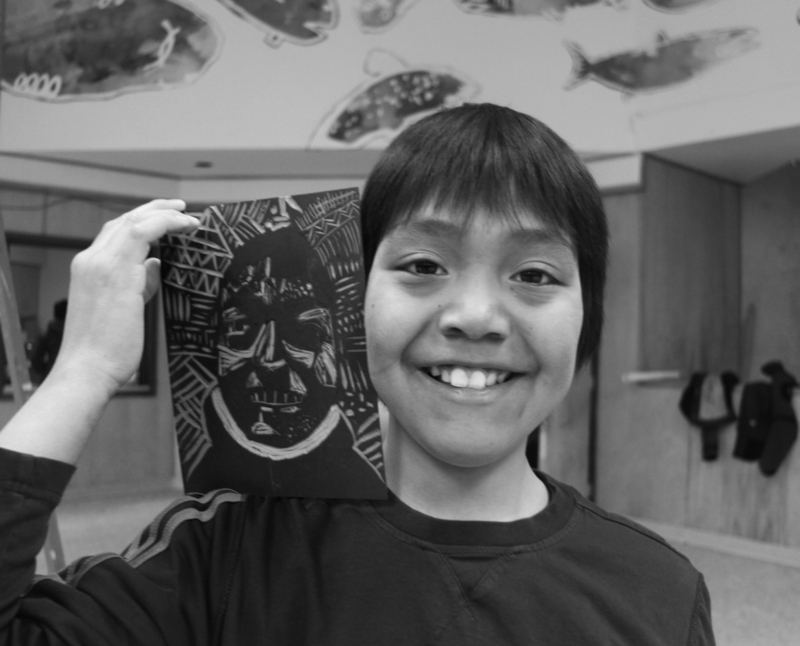 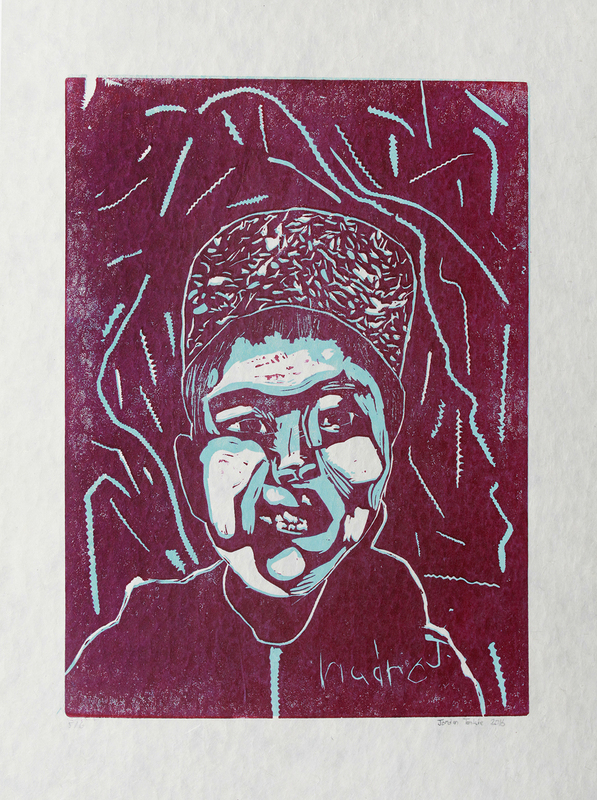 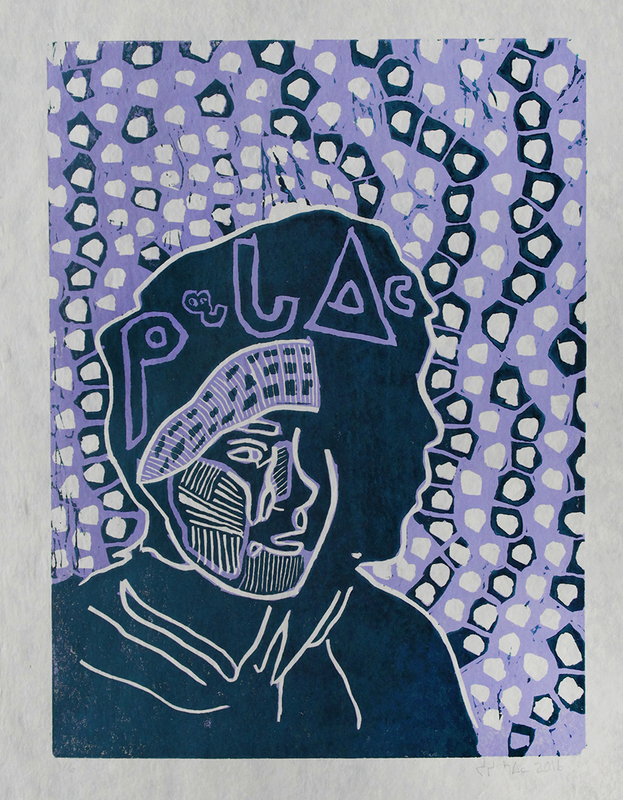 Harry Josephie won third prize across Canada for the Aboriginal Arts and Stories Contest for his three-layer linocut self-portrait!